Hi everyone. I know, I DID check my calendar and it is still a few months before Halloween. BUT, as I mentioned in my last blog, if you want to have your Halloween stitching done in time for Halloween, you better get started! 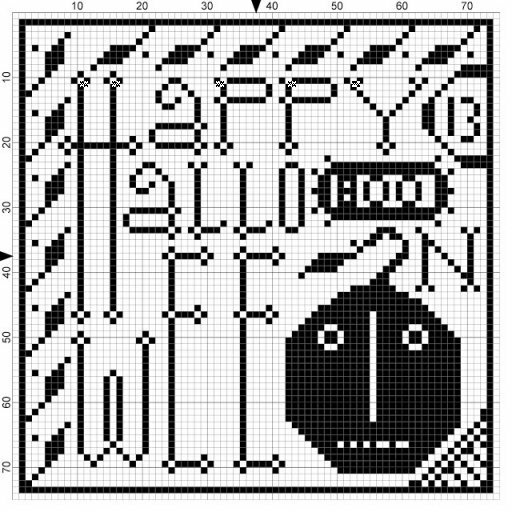 The project that I am offering to you today for FREE, from our friends at Notforgotten Farms, and is called simply ‘Happy Halloween’. When I looked at the chart before I saw the completed project, I thought that’s kind of underwhelming. But THEN, I saw one of the finishes of this chart and fell in love. So, if you come across a chart and think it really doesn’t do anything for you, see if you can find a picture of the project finished. You may be pleasantly surprised. The finish on this little pinkeep is using black wool as accent trim. 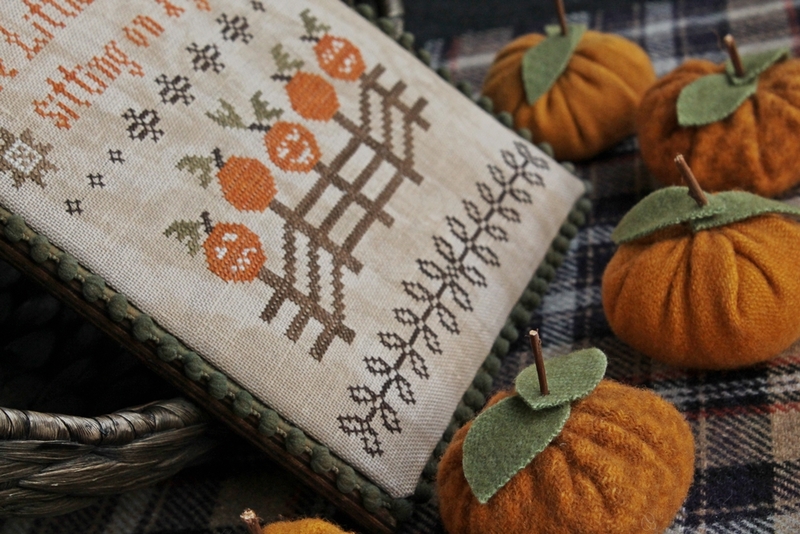 Orange wool would be another good choice, or you could stitch the pumpkin in orange and leave the black wool for accent trims. There are no rules when it comes to primitive stitching although it’s always good to at least look at the designer’s suggested colors. Then you can put your own spin on it. For example. this little piece would be adorable in a small, matted frame sitting on a shelf. OR it could be made into a bigger pillow by adding a coordinating fabric either to the right or left of the design and then a backing. 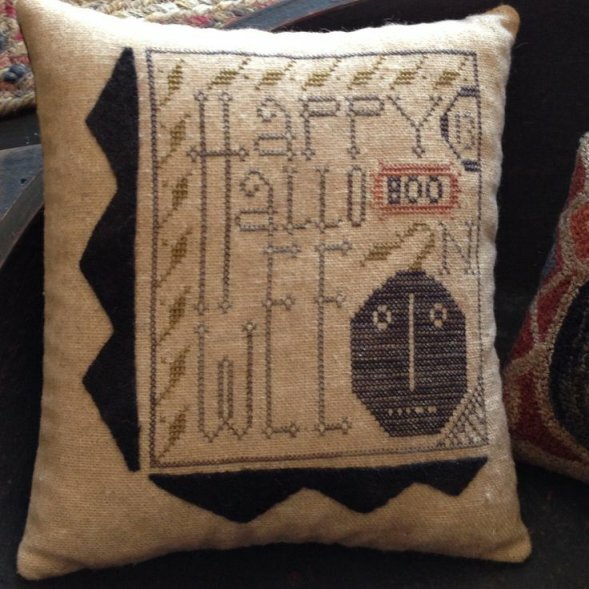 There are lots of Halloween prints on sale now at your local fabric stores. I picked up some Halloween fat quarter prints recently because I knew I was going to use it eventually and they were so darned cute.